The Kids Activate Pants from Jack Wolfskin are perfect for children who just can't sit still. The stretch fabric makes all the moves they make. Running and jumping, climbing and hiking–with these trousers, anything goes. 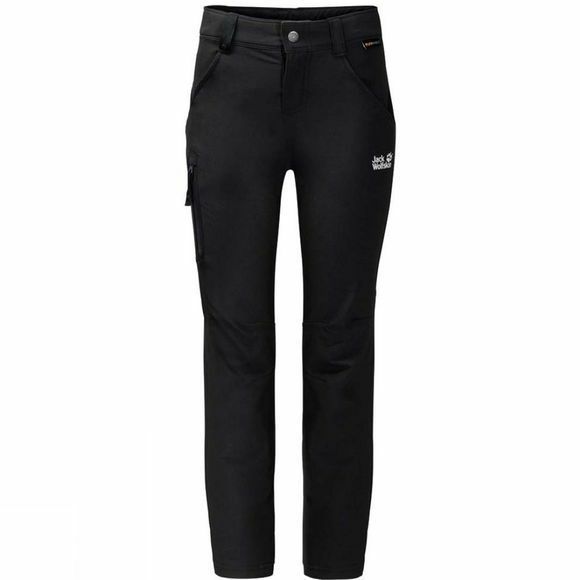 These softshell pants might even become their favourite pair of trousers–ever! They are very breathable, wind resistant and shrug off light showers–but the bottom line is they're simply great to wear.